Divorce does not necessarily mean the end of the relationship between two people. There may still be a relationship between the parties that lasts years, or even for lifetimes. One such relationship, which is often the most complex and contentious, is alimony. The judge has broad discretion to award alimony, and can design orders to adapt to many unique situations. Working with a Florida alimony attorney at the Kramer Law Firm will ensure that you know all of your options, and that the court is informed of all relevant issues regarding alimony in your case. We have extensive experience representing husbands and wives in divorce where alimony payments are an issue. There are specific actions we can take to protect your rights to alimony, modify alimony payments, or assist you with alimony enforcement. What Is Alimony and How Does It Affect You? Also known as “spousal support” in Florida, alimony is the financial support that is given to one spouse by the other either during the process of divorce or after divorce. the other party has the ability to pay that support. The purpose of alimony is to protect spouses who have sacrificed their own financial circumstances for the benefit of the marriage. The level of sacrifice and therefore the need of the recipient will vary due to a number of factors that the court must consider. In addition, important changes in Florida alimony laws have occurred recently, to include adultery as another factor the courts will consider in determining alimony. Read more about the factors in Florida alimony that the judge will consider in the award or denial of alimony in your case. Several forms of alimony are recognized in Florida. Temporary alimony can be granted on an interim basis while a divorce in ongoing. It may also be awarded on a continuing basis after the marriage is dissolved. Alimony may last for a period of time, until the recipient meets certain requirements, or it can be set up on a more permanent basis. Even alimony awarded on a permanent basis can be terminated upon certain circumstances, such as the remarriage of the recipient. The Kramer Law Firm can review your particular situation to determine what type of alimony could be appropriate in your divorce. The type and amount of alimony awarded will be different depending on the circumstances of the married parties. For example, a wife who has been married for thirty years and who has not worked during that period will likely get longer lasting and higher monthly payments than one who has been married for three years and who has been working three days a week. Florida recognizes five forms of alimony: bridge-the-gap alimony, rehabilitative alimony, durational alimony, permanent alimony, and lump sum alimony. When you meet with us, we will walk you through each type, and run alimony projections to help you consider what is appropriate for your situation. Bridge-the-gap alimony is designed to aid a party who is transitioning from being married to being unmarried. Bridge-the-gap alimony is not modifiable, but cannot exceed two years duration. Bridge-the-gap alimony is terminable upon the death of either spouse, or the remarriage of the receiving spouse. Rehabilitative alimony is designed to aid a party who needs to gain or reacquire skills or credentials in order to support themselves. This type of Florida alimony will only be awarded if there is a rehabilitative plan in place. Rehabilitative alimony is modifiable. Rehabilitative alimony is terminable upon a substantial change in circumstances or if the receiving party fails to follow the rehabilitative plan. Durational alimony grants support for a set period of time. Durational alimony is usually the award resulting from short-term marriages (under 7 years) or moderate-term marriages (7-17 years). Durational alimony may never exceed the length of the marriage. Durational alimony is modifiable, but the length of time may only be modified in exceptional circumstances. Durational alimony may be terminated upon a substantial change in circumstances or if the receiving party enters a supportive relationship. Permanent alimony is designed to provide for a spouse who is unable to meet his or her needs after a divorce. Permanent Florida alimony typically only results from a long-term marriage (longer than 17 years), but may result from shorter marriages. Permanent alimony is modifiable. Permanent alimony is terminable upon the death of either party or if the receiving party enters a supportive relationship. In some circumstances, lump sum alimony can be used as a means of spousal support and other times can be used to satisfy an equitable distribution of property and assets. When used as a means of support, lump sum alimony is an alternative to a monthly payment of alimony, and is provided as a one-time payout of permanent alimony. 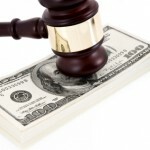 Can Florida Alimony Be Modified? Yes, depending on the type of alimony. Florida courts will agree to spousal support modifications under certain circumstances. Many times, the circumstances of spouses at the dissolution of marriage will become drastically different as time passes, for better or worse. This is especially true in the current dire economic straights which millions of Americans find themselves in. What was a fair and equitable agreement when your divorce was finalized four years ago may now be unfair and burdensome. Learn more about Florida alimony modifications here. Contact the Kramer Law Firm to see how we can help you with your alimony payments, modification issues, or enforcement of alimony in Florida. We are located in off of I-4 in downtown Orlando. To contact a lawyer, call 877.493.4847. View our videos on Florida alimony issues.